Austrian drag queen Conceit Wurst is back and looking a little different after shaving his beard! The diva has had a busy winter after penning an autobiography and putting together the guts of a debut album. However, the first thing that springs to mind when anybody mentions the name Conchita Wurst is the iconic beard. 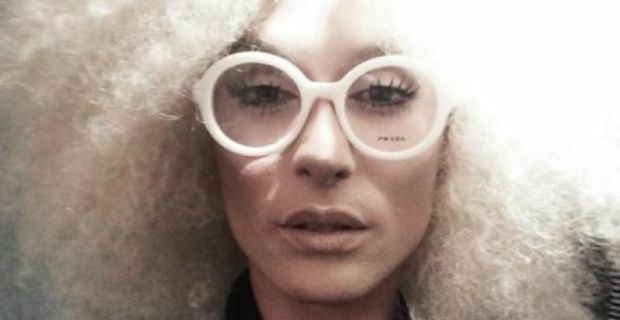 But that is completely gone now after the singer posed for a snap wearing round glasses and a puffy blonde wig minus any facial hair whatsoever. It is a look that is in stark contrast to the brunette with a dark beard that won European hearts over last year. Wurst is set to release the first single from her upcoming album in time for Eurovision 2015. The song is titled You Are Unstoppable and has been described in some circles as a pop anthem. It remains to be seen whether the beard had any significance in his massively successful run last year. 26 year old Wurst, real name Tom Neuwirth, won big at Eurovison 2014 singing Rise Like A Phoenix and topped that off by supporting Lady Gaga on the European leg of her world tour.